It’s been a while since of blogged, and Halloween feels like the perfect time to start back up. There are plenty of things to love about Halloween (candy, monsters, scary stories), but since I became a storytime librarian two years ago Halloween picture book ranks at the top. Just take a look at this list and you’ll see why. Stop back soon for a blog post on my favorite Halloweens for tweens and teens. Crankenstein. Samantha Berger, illus. Dan Santat. Crankenstein doesn’t like to get up in the morning, or go to school, or do a lot of other things. And all he has to say is, “Mehhhhh.” Until one day…he meets another Crankenstein? Dan Santat’s dramatic and colorful illustrations perfectly encapsulate the mindset of a cranky preschooler. The tie to Halloween is obvious, but this is also a book that will help children talk about feelings, make connections to their every day lives, and laugh out loud. Skeleton Hiccups. Margery Cuyler, illus. S.D. Schindler. Skeletons does the same things as everyone else–he even has the hiccups. How can he get rid of them? This is an active story that will engage young readers and a storytime crowd with its friendly illustrations and funny storyline. Schindler depicts Skeleton’s R.I.P headboard and everyday things with bright, contrasting color. Skeleton’s face never changes, and yet somehow manages to convey his emotion at not being able to get rid of his hiccups. 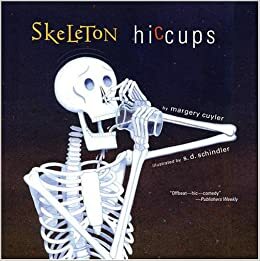 Children will enjoy playing along with the story and guessing how Skeleton will get rid of his hiccups! Setting the mood for children about to experience Halloween, Denise Fleming sweetly describes all the objects that come along with the spooky holiday in simple rhyme. Fleming’s illustrations of colored cotton fiber and hand-cut stencils give a uniquely hazy, yet playful, impression of Halloween night. The book will help children talk about the different things they might see on Halloween night and make connections to their own Halloween plans. Ghosts in the House! Kazuno Kohara. 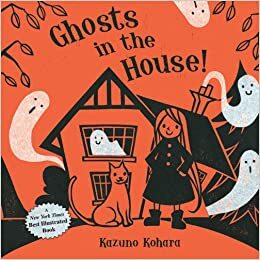 In striking black, orange, and white illustrations, Kazuno Kohara tells a story of a little witch, whose house is haunted. Not to be daunted, however, the witch and her cat set about catching the ghosts and putting them to good use (as tableclothes and curtains). The contrast of the white ghosts on the dark pages give a textured, almost three-dimensional look. Though the storyline sets itself up to be spooky and dramatic, the witch’s sweetness and cleverness will delight young readers in unexpected ways! 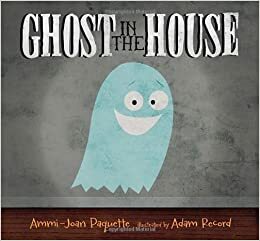 Ghost in the House by Ammi-Joan Paquette, illustrated by Adam Record. This is a sweet book about a haunted house, great for easing kids into Halloween stories. A ghost wanders a house hears all sort of strange noises–which turn out to be his friends. A mummy, a monster, a skeleton, and a witch. But when they run into a boy, all the monster run away. Kids like to try guessing which monsters will appear next. This is a great book to show kids that they are the scariest things around on Halloween. 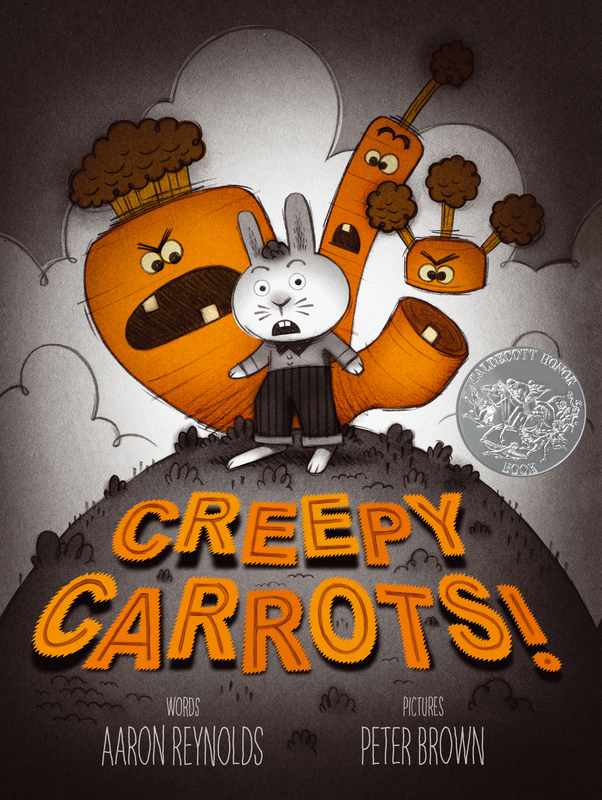 Creepy Carrots by Aaron Reynolds, illustrated by Peter Brown. A creepier story, this might be better suited for slightly older preschoolers. I had some students who said they were afraid. Jasper Rabbit loves to munch on carrots until he notices carrots creeping after him. Though this is a little long, the suspense keeps kids’ attention. There’s a lot to talk about on each page, especially when the illustrations point out objects that Jasper may have thought were creeping carrots. Overall, this counts as a good “scary” story without bringing on nightmares. 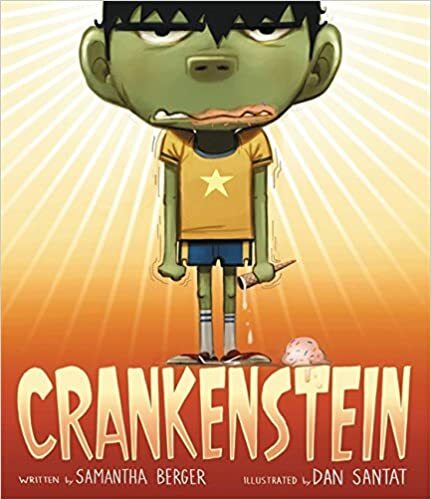 Crankenstein by Samantha Berger and Dan Santat. Crankenstein hates a lot of things and can’t bring himself to say much more than “Mehhhhhhhr!” That is, until he meets another Crankenstein. Though this fits with the Halloween theme, it’s a great book to talk about feelings. I’ve had a lot of kids giggle as I groan like Crankenstein, and there’s a positive ending that leaves the audience smiling. Dan Santat’s illustrations really help sell this book. I love to put this book in the middle of my storytime because it’s short, yet highly entertaining. Ghosts in the House by Kazuno Kohara. Upon discovering her house is haunted, a little witch sets about catching all the ghosts in her house, putting them to better use. This is a soft, sweet book, perfect to end a storytime. I encourage the kids to help me count the ghosts on the page. It’s also fun to see if they catch the weirdness of the little witch going to the kitchen to use the washing machine. All the ghosts are smiling–no reason for young readers to be afraid. Pull puppets out of a pumpkin, asking kids what each animal is and what sounds they make. Then encourage them to sing along. Repeat: horns, feet, teeth, tail. Open shut them, open shut them, give a little clap, clap, clap. Open shut them, open shut them, put them in your lap, lap, lap. Open wide your little mouth, but do not let them in. Shake them just like this, this, this. Roll them, roll them, roll them, roll them, blow a little kiss! For the most part, each group I visited seemed to enjoy this storytime. Whenever I shuffled or stomped my feet (as part of the story), the kids responded by shuffling and stomping with me. Creepy Carrots was a BIG hit. Some of the girls said they were scared at the beginning, but I think a lot of that was just acting for attention because everyone was rapt as I told the story and turned the pages. I was able to get through four books with most classes. Almost all the kids sang the ghost in the house song with me, and a lot of them were able to recite 5 little pumpkins. I brought my ukulele again, which the teachers loved! I’m glad the kids seemed to have fun, even as they were getting excited for Halloween.